Learn how the "miracle" food can benefit you. Moringa is the newest wellness buzzword — and for good reason: It's packed with vitamins and nutrients, antioxidants and anti-inflammatories. Derived from the moringa oleifera tree, this superfood has been grown and used in Asia and the tropics for thousands of years. There, it's known as the miracle tree because of all of the positive effects it has on the body; though it's on the new side for those of us in the west. So what exactly can it do for you? 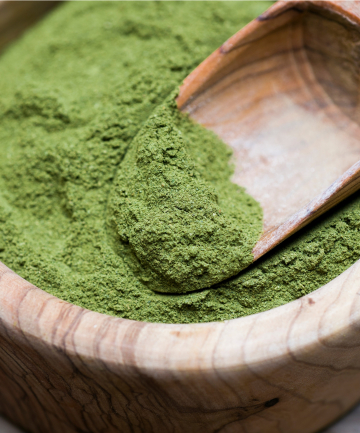 So glad you asked — keep reading to learn more about moringa and all its benefits.